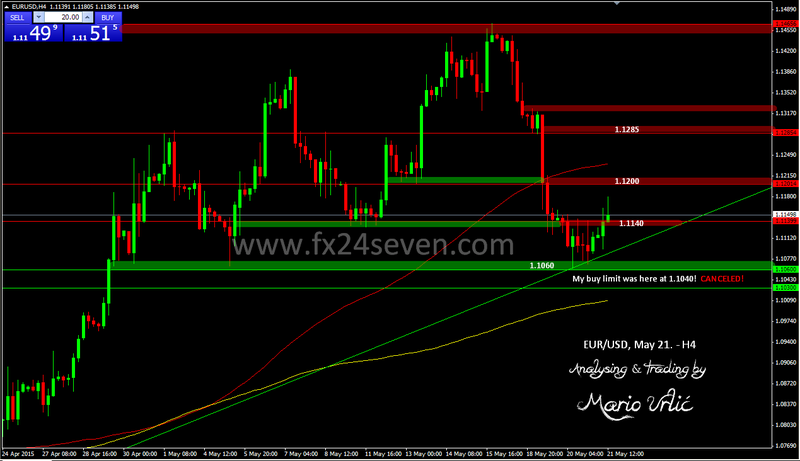 EUR/USD, I canceled my buy limit! It’s a pity that my buy limit wasn’t ‘caught’ yestreday after FOMC, the pair rebouded nicely today with high of 1.1180. I will cancel my order now, while I have another position open at gold. You can see, that 1.1140 supported the euro today at smaller time frames, but not at H4 for now. Could the bulls hold this level now? EUR/USD looks preaty bearish after ECB minutes, where we didn’t hear anything new. Let’s see! ?